Sometimes life brings you surprises, and I came to stumble on the story of this bottle by coincidence. One of my colleagues, sent me the picture above (taken by and courtesy of a friend of his who owns the bottle) asking me if I knew anything about the wine and what could be its approximate value on the current market.. I told him that I had no clue, but the old look of the label and the state of the bottle triggered my interest and I decided to investigate for him. 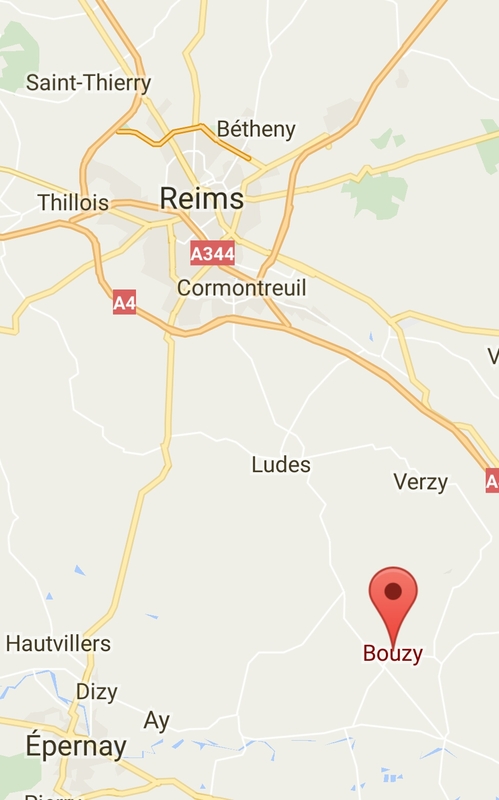 Of course, as a seasoned Sommelier, saying that I had no clue at all about what a "Bouzy Rouge" is will be lying. And as for its value, Bouzy Rouge wines are usually rather inexpensive despite their rarity. However, I had the feeling this particular bottle may have a symbolic, if not, an historical value somehow. 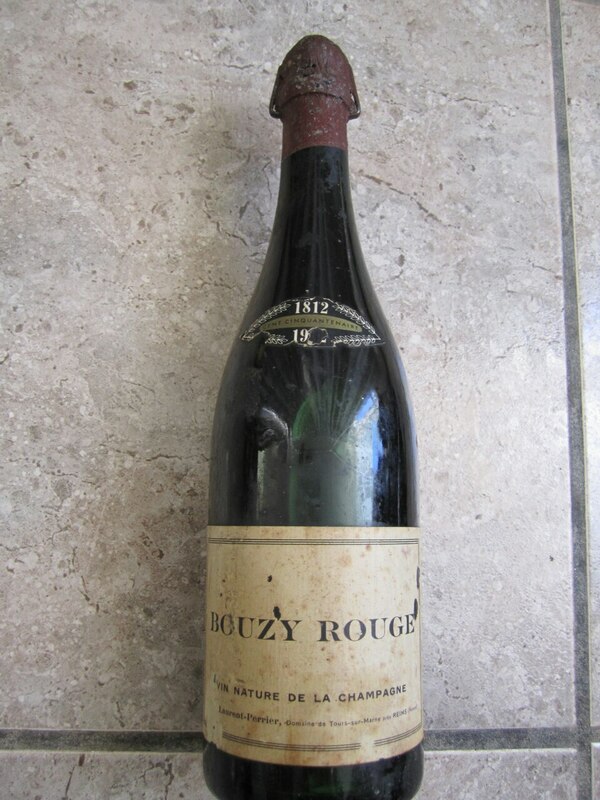 Bouzy Rouge wines are strictly produced ​​from Pinot Noir grappes and only in vintages of high quality. Only very few producers still craft this delightful and cool climate refreshing red wine. 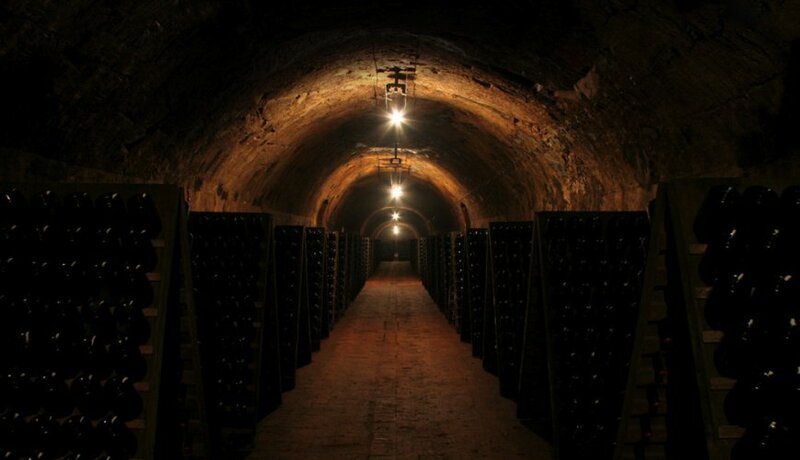 Bouzy's vineyards are situated on hill slopes called "Cotes des Noirs" (meaning slopes of the black grapes), and are classified 100% Grand Cru in the Champagne vineyards classification. 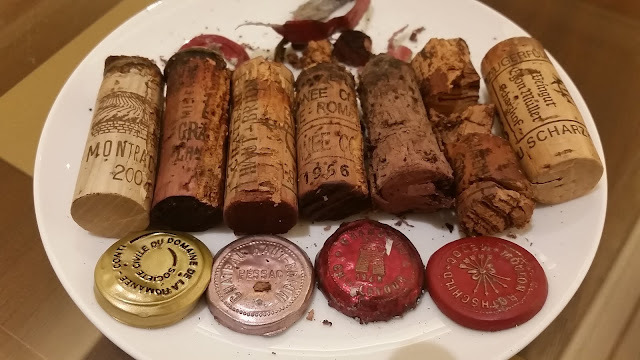 Like most wines, depending on the desired style, the quality of the vintage and most importantly the grapes, Bouzy wines can be aged in vats or in oak barrels, which give them more soul, substance and character, and often strengthen their unique terroir characteristics. Like for the Champagne, Bouzy Rouge are put to rest in underground cellars, labyrinth of galleries carved in the chalky soil more than 5-7 m deep (much deeper for some) naturally maintaining a temperature of about 12°C all year long. 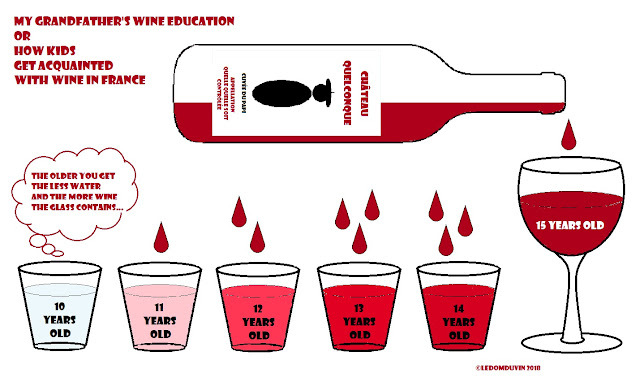 But enough of the facts, let's go back to the bottle. 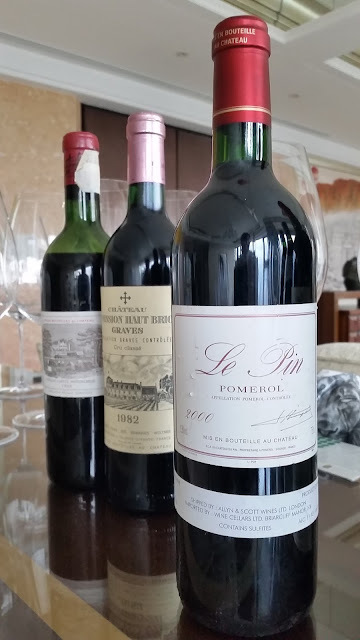 The look of it and the fact that I could not find much on the internet about it, almost put the doubt in my mind about its authenticity (living in Hong Kong close to China with the amount of fake bottles around did not help either...). I decided to call, then email Laurent-Perrier in order to get more info this "UB" (unidentified bottle) and exchanged a few emails with Fanny Cribier (Chargée d'Etudes Documentaires a la maison de Champagne Laurent-Perrier), who kindly gave me the following. 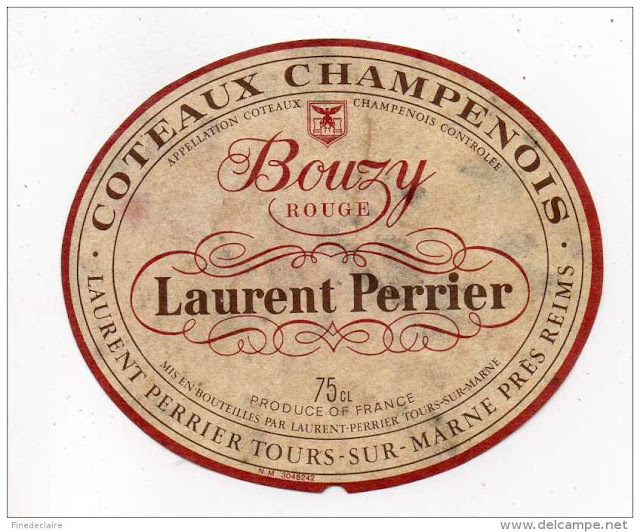 Laurent-Perrier used to produced Bouzy Rouge until 2005. 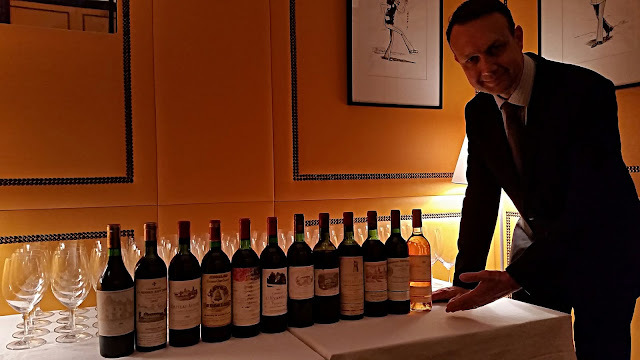 Yet, despite the fact that they stopped the production, they humbly recognised that "Bouzy Rouge" allowed Laurent-Perrier, from the 50s, to be present on the finest tables of the French Gastronomy and Paris Haute Cuisine venues and other capital culinary scenes like London. 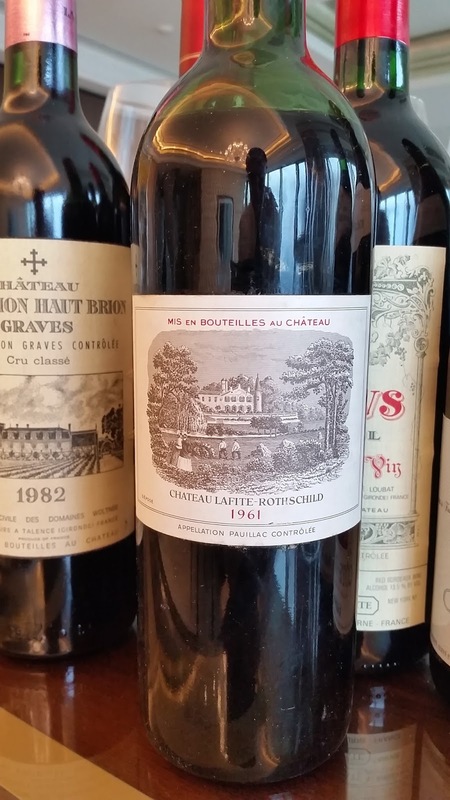 That particular bottle is a rare specimen as being one of the last remaining bottle amongst the few thousands of bottles produced at the time for the Cent Cinquantenaire Anniversary 1812-1962. As such, this bottle is part of the Laurent-Perrier Heritage and as both a high historical and symbolic value in the eyes of Laurent-Perrier. 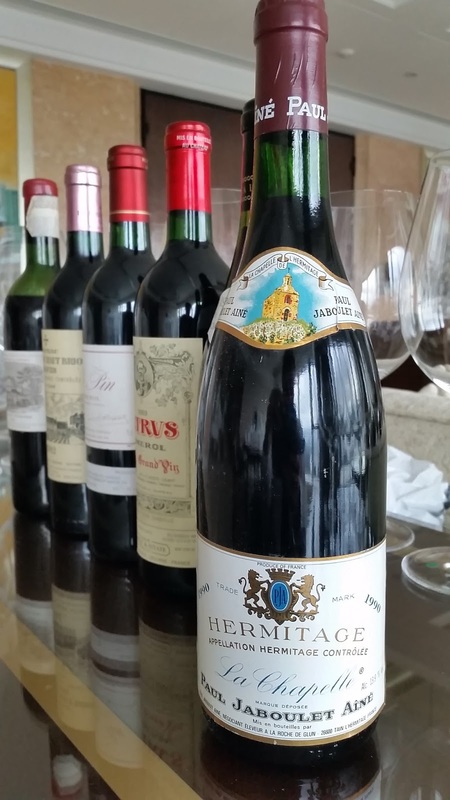 Such a treasurable bottle that Laurent-Perrier may convince its current owner to exchange it if he is willing to part with it. Thanks to my colleague John for showing me the picture in the first place and asked for my help to get more info about it. 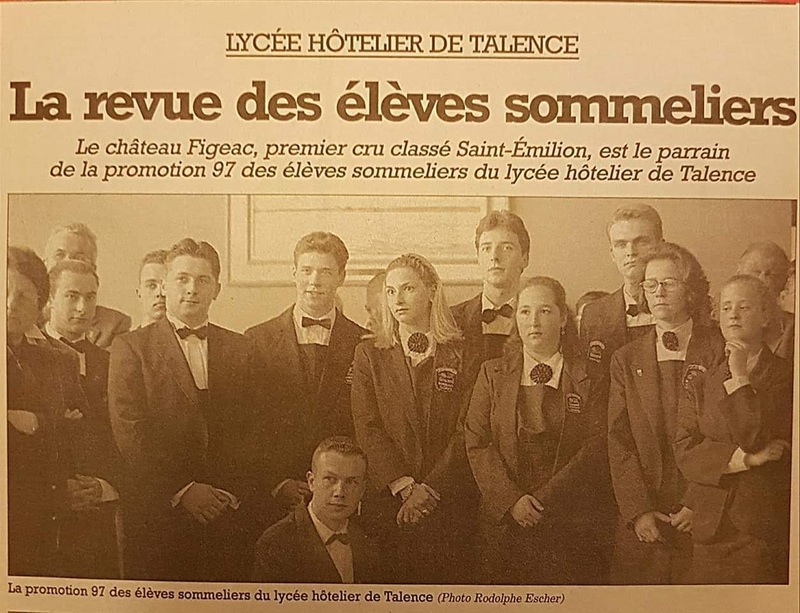 Thanks to Fanny Cribier (Chargée d'Etudes Documentaires a la maison de Champagne Laurent-Perrier) for her help in this small investigation. And here we go again, back into the apartment with the view overlooking at Hong Kong.... Beautiful, isn't it? Except for the weather this time, tainted by the usual and almost permanent grey of the blanket of clouds always hovering above the city. 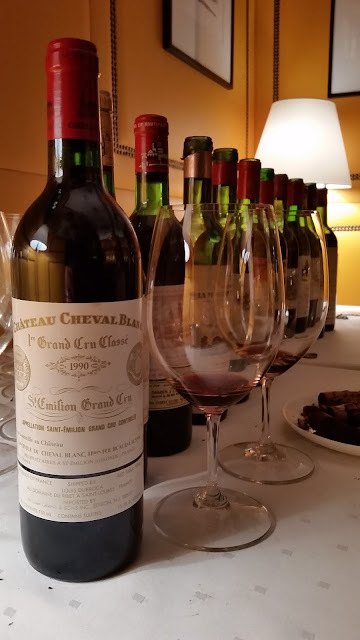 I let you admire the view... but i think that once again the best view of the night was the one on these 6 gems above... the wines of the night were a festival of greatness, climbing the ladder of strength and richness the closer we got to the last bottle. 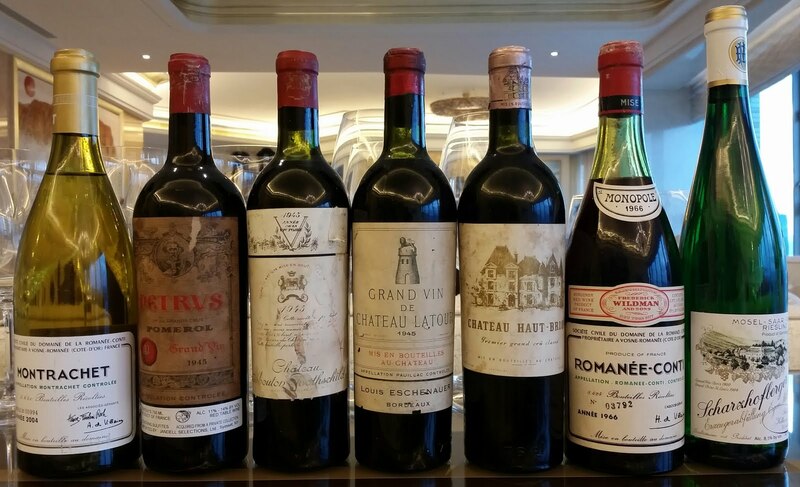 These bottles were served with a traditional Chinese dinner, concocted by the house Chinese Chef. Do not ask me to translate the menu, none of them spoke really fluent English and i hard a hard time trying to understand what they were trying to describe. However, I took a few pictures that speak for themselves. 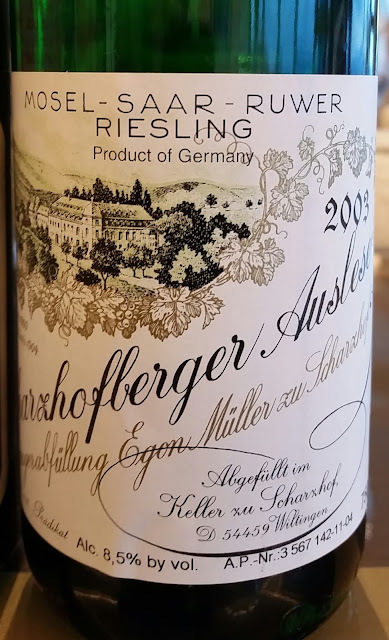 The palate is light, slightly flat in my opinion compared to previously opened bottles and not as full as I remembered it, but still possessed enough acidity to keep bright. Not bright enough compared to previous bottle. Literally a bomb after the Lafite,,so young and powerful. Too young in my opinion. Beautiful nose, fresh notes, menthol, eucalyptus, smoke, earth, spice, touch peppery. Beautiful, lush, round, coating in the pallet. Here again, touch spicy peppery, smoky, ripe figs, touch prunny. Lovely balance and texture in the pallet, lingering until the amazing finish. How to put it? An amazingly generous and friendly fat baby. Big, round, friendly, coating, full, explosing upfront, yet gradually expanding in every way on its way to the finish. Gaining in strength and fullness. Lots of dark fruit, wood, spice, earth,. What a wine! 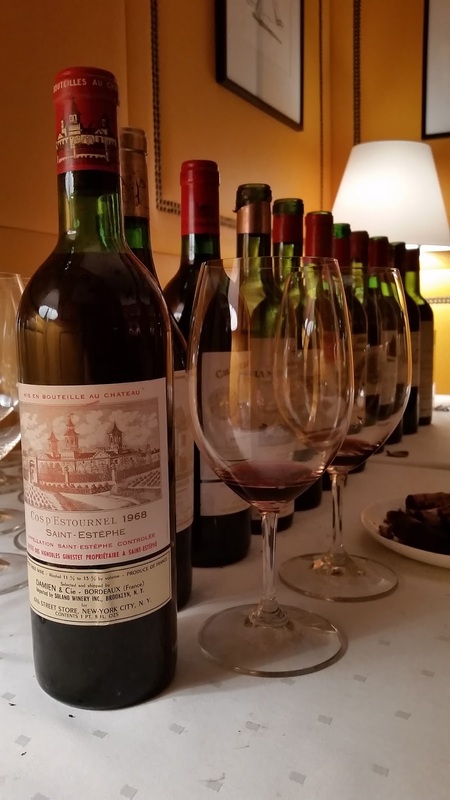 Yet after such an incredible beginning and mid-palate... I would have love the flavor in the finish to be a little more lingering and the finish itself longer. 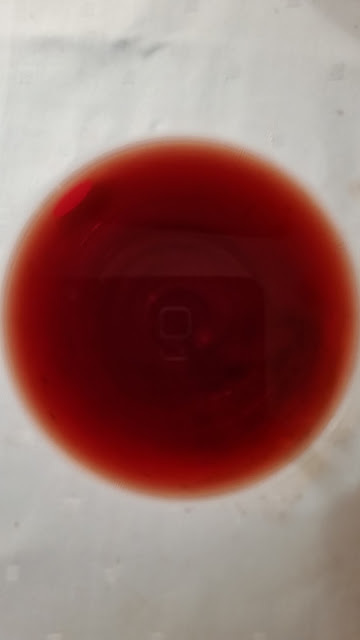 Strange, the first things that came to my mind, when i tasted it, were Californien style Merlot and Robert Parker... go figure... but it gave me this impression. Sous bois, spice, mushroom, smoky scorched earth, peppery. Very dark fruit. Almost hard. 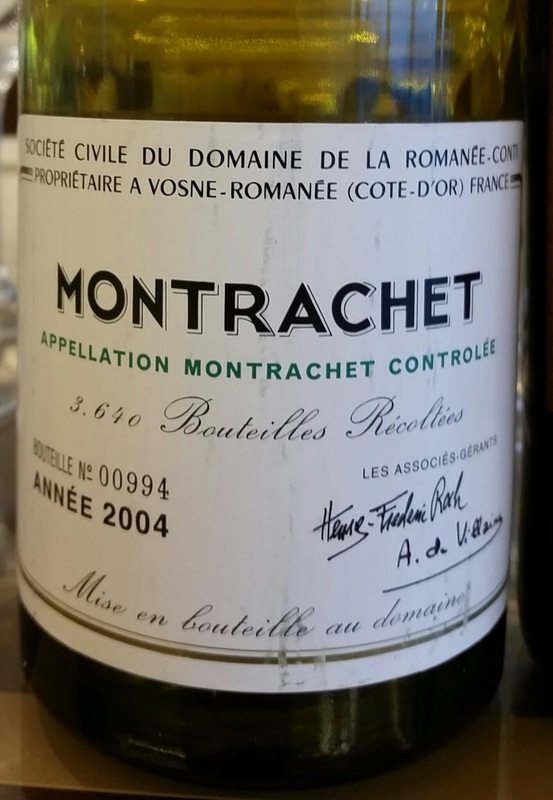 Great acidity in the pallet, lot of spicy, peppery, notes, super dark fruit and more earth. It is paysan wine (in a good way) really impressive and serious attitude. Too serious. Dark and strict. Powerful yet refine. 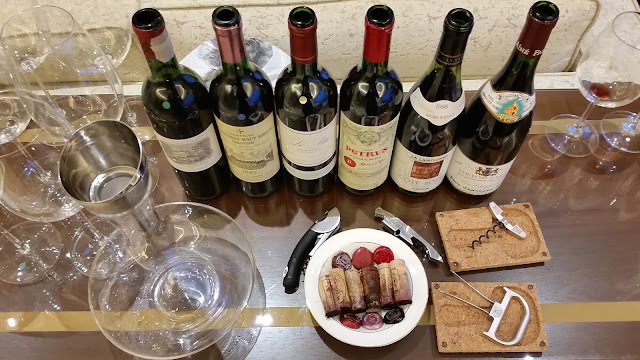 About a few weeks ago, on June 21st, prior to the 1945 horizontale (read it here), I had another dinner where I had to prepare, condition, decant, taste and serve some amazing wines. A selection to dream of (once again) for a Sommelier like me! The dinner occurred at a famous Hong Kong Chinese restaurant, but I need to admit, the food was not up to par with the wines selected for that occasion. 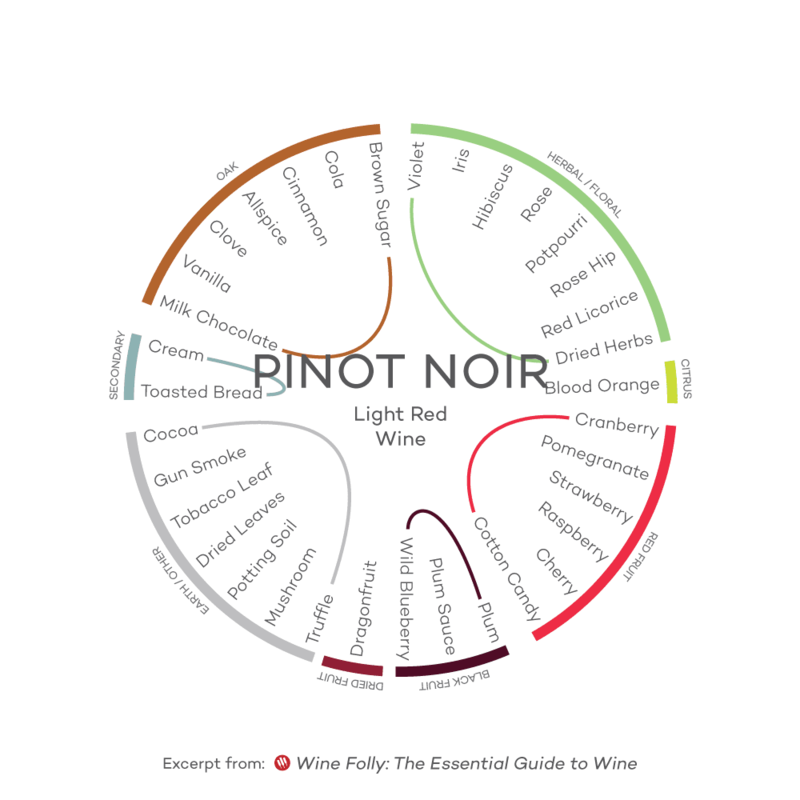 So no point to talk about the food pairing, and let's go straight to the wines, shall we? Here they are in the order they were served. 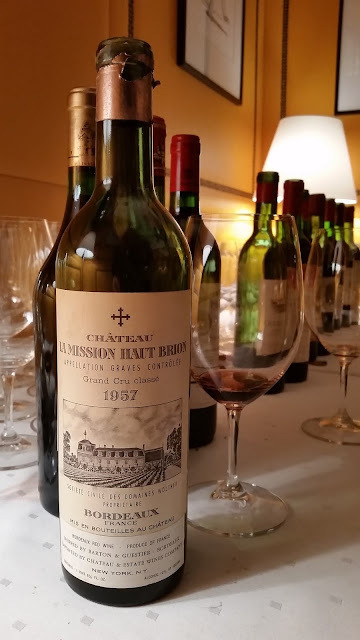 It was amazing (no wonder the Haut Brion wines are my favorites) so smoky and earthy, balanced and harmonious and so flavourful... I could have stayed minutes just on the nose. Very much alive and kicking. Earthy nuances of underbrush, mushroom, game, figue, plum, spice and liquorice lingered in the lightly structured yet complex palate up until the finish. Loved it. It was succulent and so youthful, but no surprise there as HB is my favorite wine. Almost a shame to open it so early. 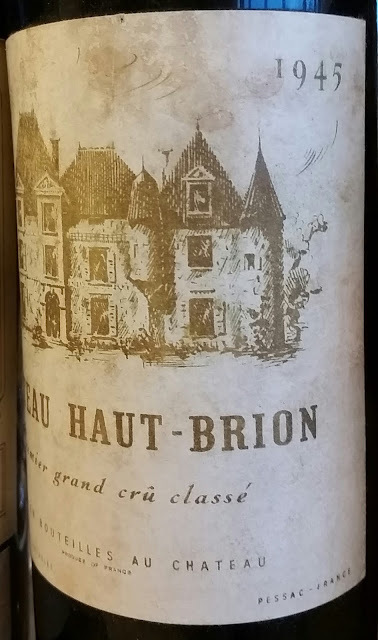 Earthy, smoky, red and dark berries fruit aromas and flavors with asphalt and stony nuances, so characteristic to Haut-Brion emanated from the glass and coated the rich, structured and textured palate, up to the full and generous finish. 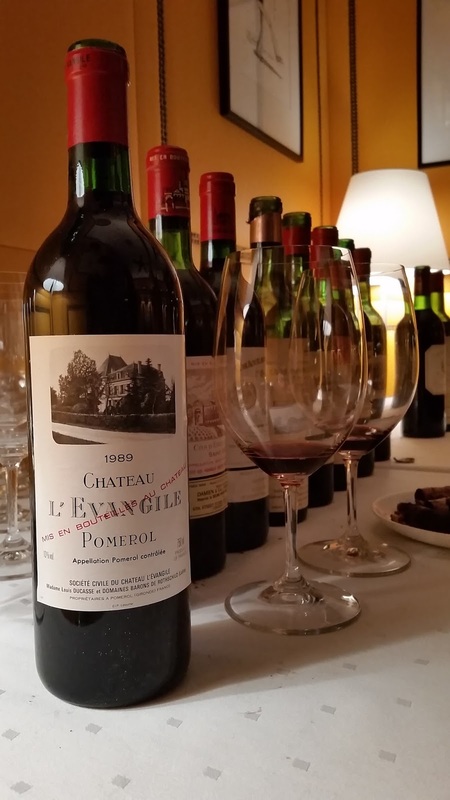 Harmonious and balanced by great acidity, quite common to most 86 Bordeaux Left Bank i tasted in the last 20 years, this wine is promising a bright future and still quite a few years in the bottle. Beautiful. 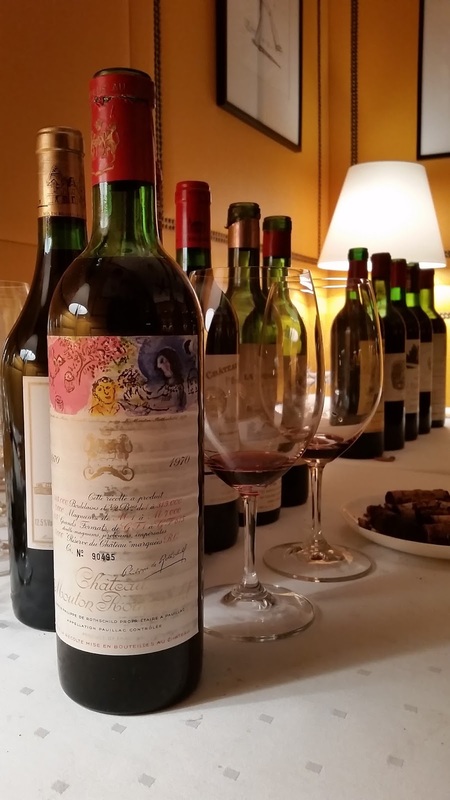 What a stunning wine! It had been quite a few months that I had not tried it and previous bottles were good, but this one was far much better than previously tasted and still so vibrant. 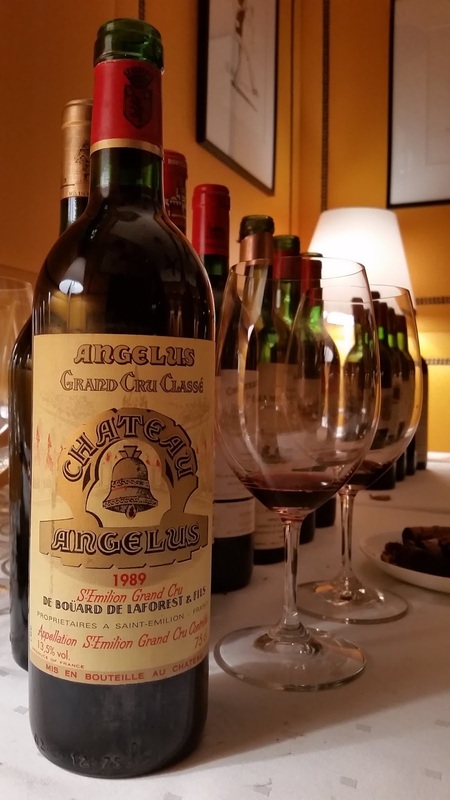 Complex, long, rich, structured and textured, beautiful nose and stunning palate. Rich, generous, balanced, harmonious and solid enough to age quite a few more years in the bottle. 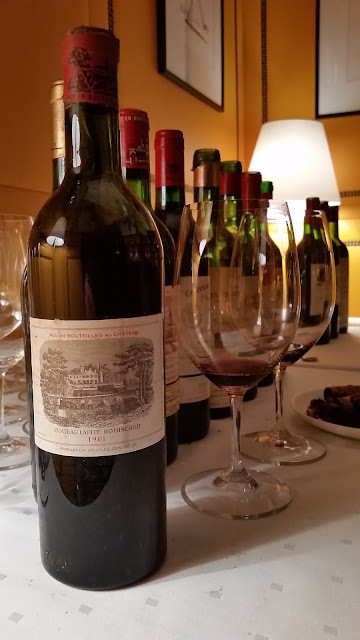 Game, underbrush, mushroom, spice, wood and earth flavors mingled beautifully in the expanding palate and the lingering finish. A beauty, smooth and delicate, fragile but still very much alive and racy. A ballerina as I like to call it. 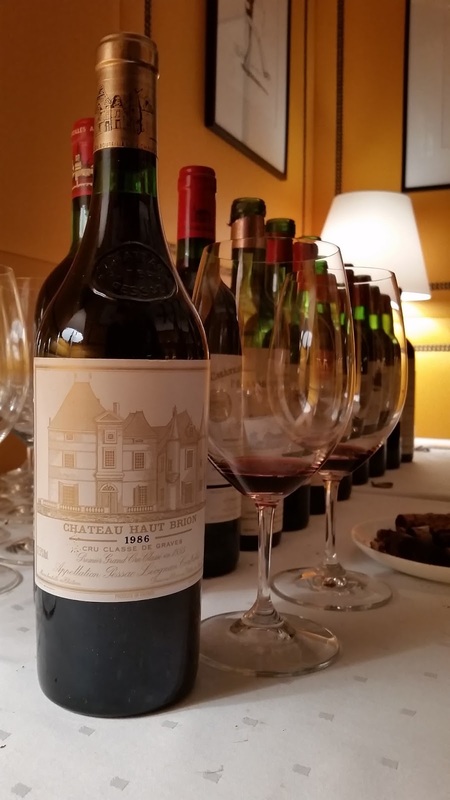 Floral, earthy nose leading to a velvety palate nuanced with dark berries, sous-bois and earthy tones balanced with great acidity and freshness tending to the gentle, silky finish. 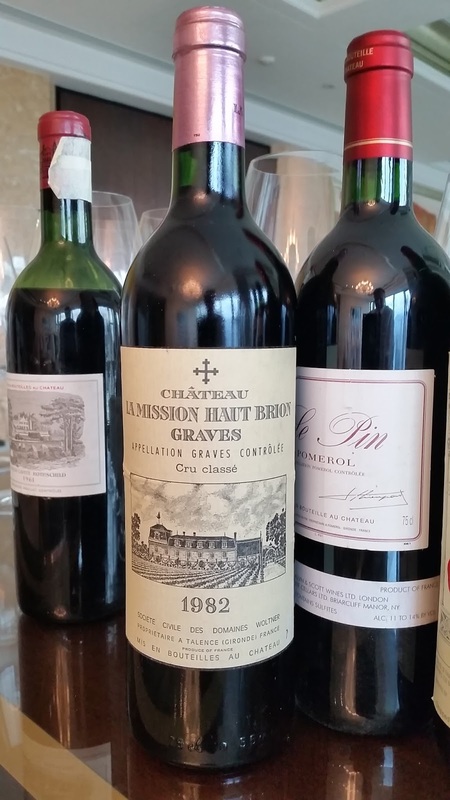 Margaux has always been feminine for me, and this 82 confirms it. 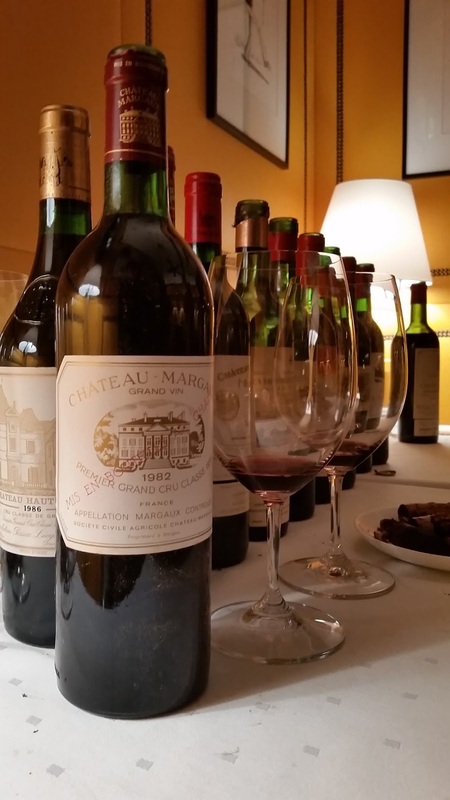 A great example of what Margaux is all about, more especially in this classic Vintage. Great silhouette. It worried me to begin with as the level was low and the overall conditions acceptable but not great, confirmation came with the cork being totally damp and friable.. color was dull and tasted a bit flat... this bottle was not a good example, though the wine was not bad but has suffered due to the oxidation and eventual old seepage. To bad. I tasted some tremendous examples of Lafite 61 before, but this one is not one of them. The problem with these old vintages of top tear wines, which traveled all around the world and passed from the hands of a collector to another via Auction Houses, is that it is very difficult to define the quality of the wine inside and more especially the conditions in which it has been stored all these years prior being opened. 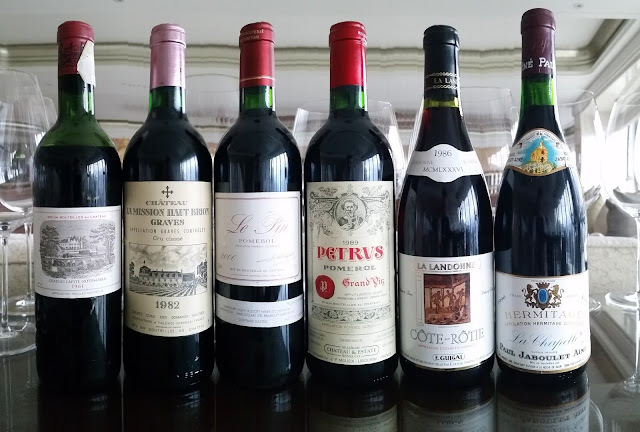 Even with my knowledge and experience of inspecting countless amount of old bottles for more than 20 years, it is always a difficult task. 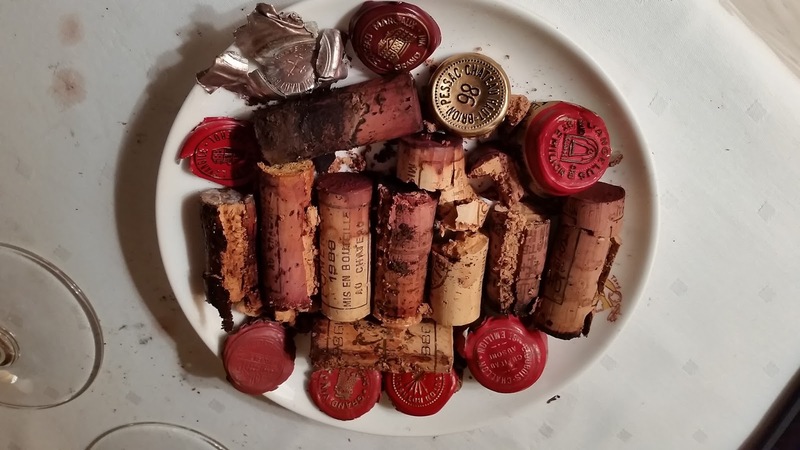 Difficult to prevent bad bottles from time to time despite obvious signs to the eyes of a seasoned Sommelier like me boasting a certain expertise on the subject. 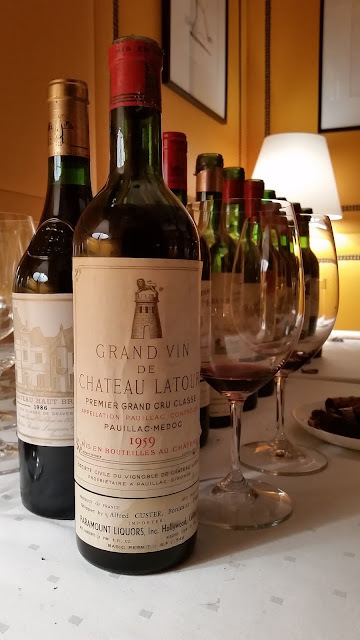 What a nice surprise as I never tasted it before and was not sure what to expect, but it was well behaved, on the light side but still complex enough to be really enjoyable. Good and youthful but still felt to impress somehow despite its complexity. Pretty good, consistent and well structured, and thorough till the end. Too young somehow and slightly restraint somehow but still very elegant. My name is Dominique Noël, a.k.a. LeDomduVin. 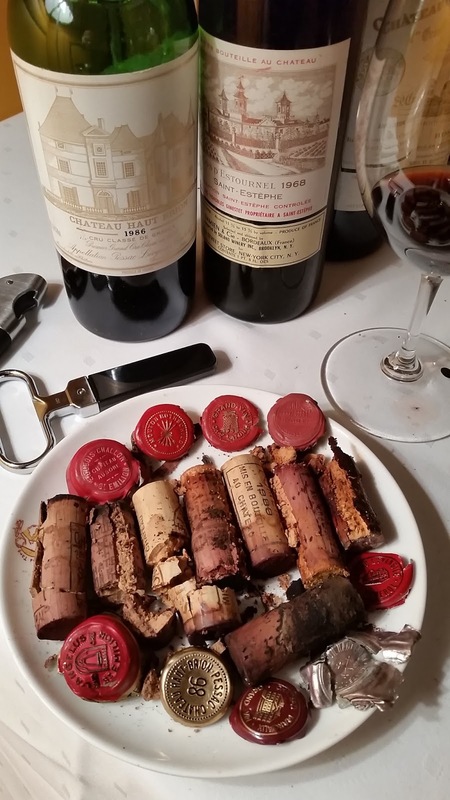 I'm a French-American, well-traveled and well seasoned Sommelier, Wine Buyer, Wine Quality Control Director (Wine Inspection / Authentication) and Market Analyst, with 27 years of experience in the wine trade on 3 continents, working in really exciting markets such as Bordeaux, Paris, London, New York and currently Hong Kong. 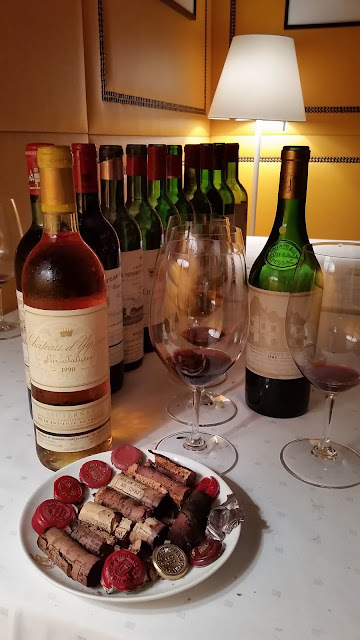 Born in Bordeaux (in a really bad vintage.... 1973...😊) and grandson a winemaker from the Côtes de Bourg, I grew up partly within the heart of Bordeaux and partly in a small village surrounded by vineyards called "Comps" in the Côtes de Bourg. I spent a lot of time with my grandfather during my youth, at his farm house where he had all sort of animals and was growing all sorts of vegetables and fruits (read a bit more about my grandfather here and here). I enjoyed very much watching him, and even assist him sometimes, at every stages of the wine making process, whether when he was tending the vines or taking care of the vinification and aging process of the wines in the cellar. Basically I grew up into wine with him, it has always been part of my life directly or indirectly. My grandfather (and my family in general) drank wine pretty much everyday with each meal, even with breakfast, yet he woke up very early everyday and his breakfast were quite substantial. In France, more especially when you are born in such an illustrious wine producing region like Bordeaux, drinking wine is an indissociable part of the local traditions, culture, mentality and ways of life. 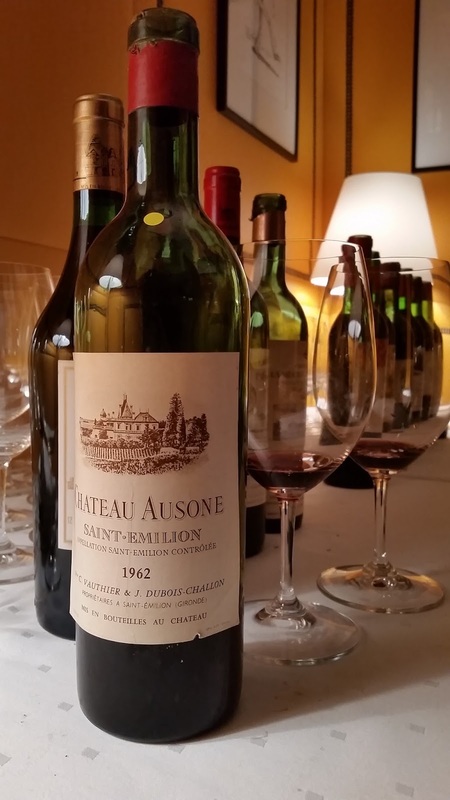 During my youth, each year, I was helping with the manual harvest of the grapes at different local small wineries (with my grandfather, or in the vineyards of his sister in the Côtes de Blaye, and/or at some neighbors or friends of my grandfather). My hideout was a huge wooden vat in one of the cellar at my mother's house, located a few parcels of vineyards away from my grandfather's house. 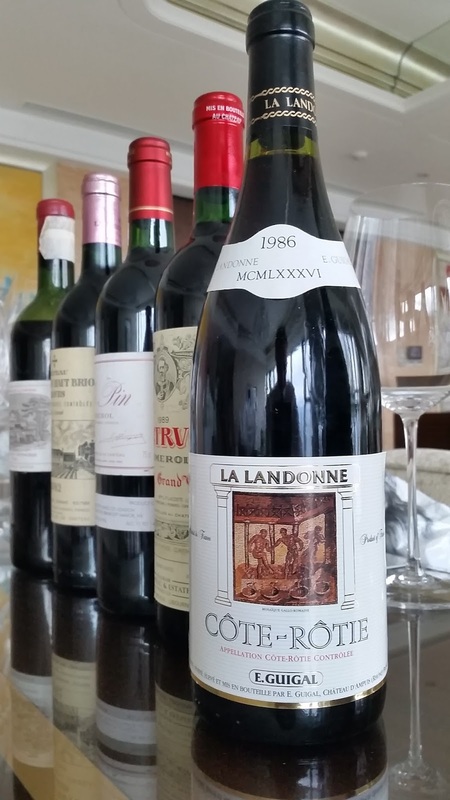 I officially started my wine career in 1992, right after finishing the army, while working as a head waiter assisting the Sommelier in various restaurants and events in several towns in France. 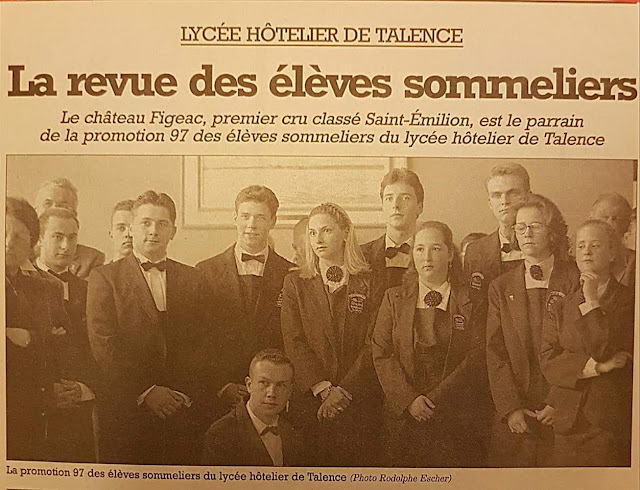 In 1994, I came back to Bordeaux and worked in a Relais & Chateaux, where I was also working as Head Waiter and Sommelier. Right after, in July 1997, I started a long journey which brought me around the world to this day... 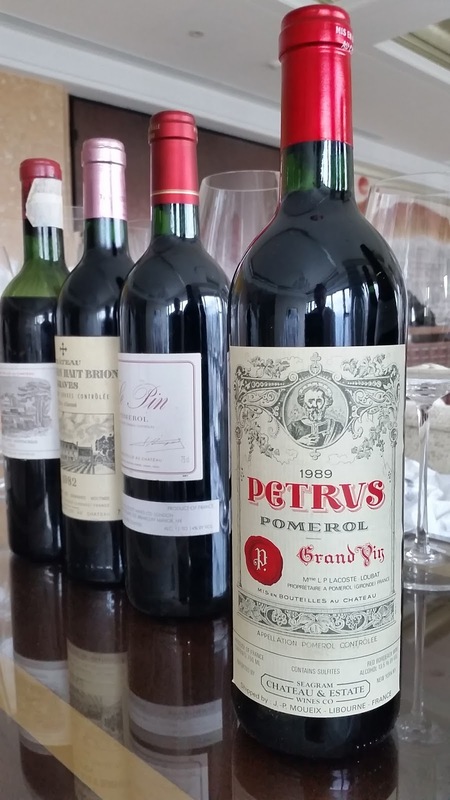 I moved to London (UK), where I worked as a Sommelier and Head Sommelier / Wine Buyer for several restaurants until 2002. In 2002, I moved to New York (USA), where I worked as a Wine Director, Wine Buyer, Store Manager, Wine Writer for 2 prominent wine retail stores, until 2011. 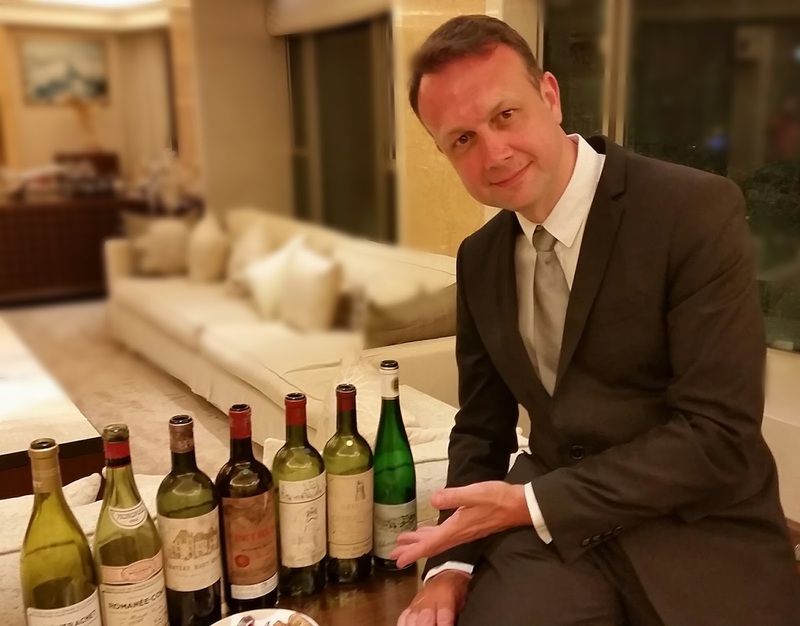 In 2011, I moved to Hong Kong, where I still am currently, I first worked as Head Sommelier and even Restaurant Manager; then, a few months later, early 2012, I took the difficult decision to stop my carreer and retired from the restaurant world for good this time. 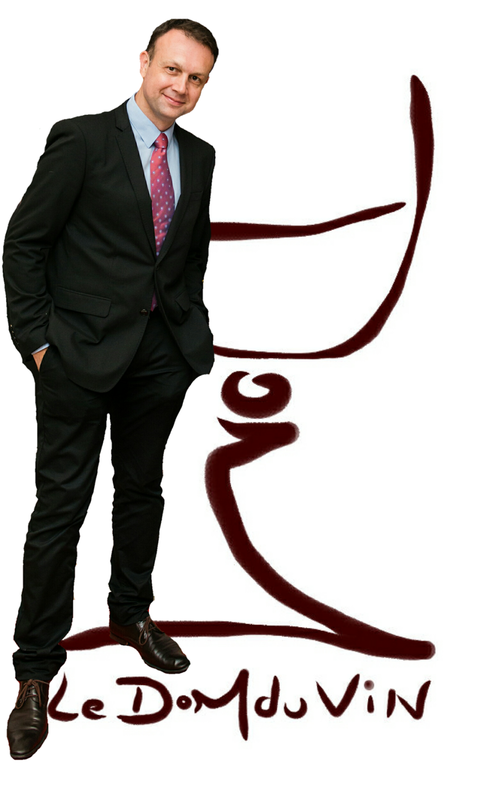 I put my own company together, logically called "LeDomduVin", providing Wine Consultant / Wine Specialist services like Wine marketing, Promotion, Events and Wine Education. Yet, I needed a more financially stable job to sustain my little family, so I stopped the consulting, and accepted a job that had nothing to do with my previous lives as a Sommelier for Restaurants and Wine Director for wine retails, I became a Wine Quality Control Director / Market Analyst for a big corporate company. It was nearly 7 years ago. And since then I had the chance to prepare, open, taste and serve countless times (and drink occasionally) some of the most prestigious, illustrious and expensive wines in the world, predominantly from Bordeaux and Burgundy. 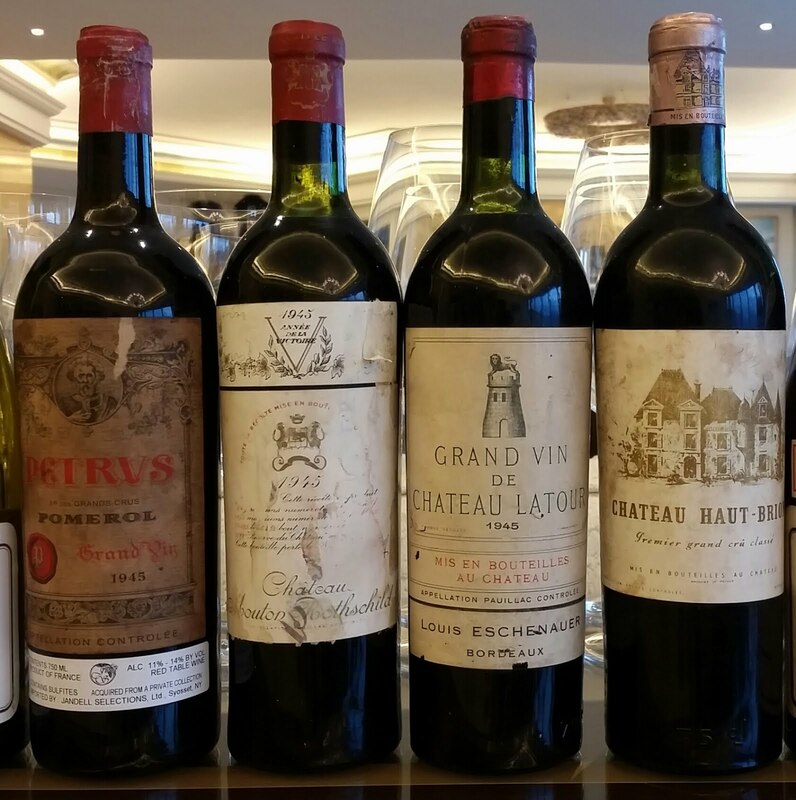 I'm surely one of the luckiest Sommelier in the world, which the chance and opportunity to taste these wines on regular basis. I love wine and I love my job.